Many are calling the rise of the Internet of Things (IoT) the next Industrial Revolution poised to disrupt all facets of our daily lives. From Amazon’s Prime Air program that employs connected drones for local, small order deliveries to popular home automation products like the Nest Smart Thermostat, commercial IoT offerings are already seeing widespread adoption amongst consumers. And just as mobility’s merits have been more or less widely accepted on a global scale, IoT is also on a clear path towards widespread adoption by enterprises across the globe. Specifically, IoT and machine-to-machine (M2M) automation technologies are steadily proliferating the enterprise landscape. This presents new challenges for IT departments and staff responsible for enterprise device management; prior to the IoT revolution, such functions were relegated to servers, network devices, desktops, laptops and, as of late, mobile devices. 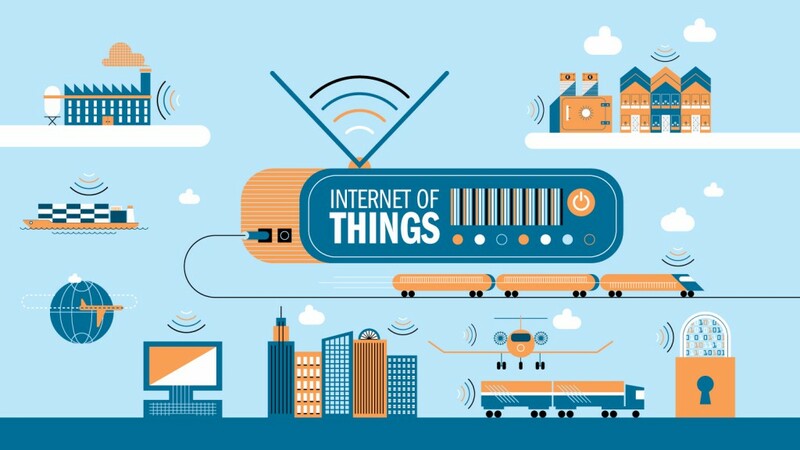 Now, with the advent of IoT, any number of connected things may connect and be managed on the corporate network. Subsequently, IT must adjust their practices to address the myriad of disparate devices and related concerns: from security to bandwidth management. The following are five areas in which IoT is disrupting traditional IT models for communication asset management. As IoT proliferates the enterprise, the sheer number of disparate devices positioned within the ecosystem requires a new approach to identity and access management (IAM). Since traditional models for IAM are people-based, a new model is in order to address a broader array of entities: people, software, applications/services and devices. These entities and their relationships/taxonomies must be tracked and understood by IT to drive security, access and usage polices, since in many of these cases data exchange between entities are device-to-device (e.g., M2M interactions). Furthermore, IT needs to rethink its strategy for wireless expense and enterprise expense management, as bandwidth costs incurred by IoT devices must now be taken into account. A broader range of vendor devices on enterprise networks means a larger attack surface and more attack vectors for would-be intruders. In terms of managing IoT communications assets, tighter control over device patch management, vulnerabilities per IoT device, and a revamp of enterprise security architectures to accommodate more numerous and diverse endpoints is necessary. Additionally, IT must incorporate privacy policies and measures into their communication asset management strategy, as personal IoT devices more often carry sensitive, personal data. IT staff must therefore take the proper measures when reallocating or decommissioning equipment, as 90% of IoT devices collect one piece of personal information through the device, the cloud or the device’s mobile app. Sensors are at the heart of IoT devices, allowing them to interact with and collect data from the environment. For this reason, sophisticated methods can be employed to aid in asset management. For example, as many personal IoT devices are trackable via GPS and location services, communication asset management strategies may evolve to include automated checking in/out of corporate devices, dynamic/automatic reassignment of assets to employees and new methods of theft and loss recovery, among others. As data collection must now encompass multiple data points originating from any number of devices, IT must rethink its approach for costing resources per employee. For example, you may consume a certain level of bandwidth from your primary computing device, but actual usage levels may be significantly higher when all IoT devices connected to the network are accounted for (e.g., smart watches, wearables, personal IoT devices). In general, the exponential demand increases for compute and storage resources spurred by enterprise IoT adoption will require IT to allocate more resources to this end. In terms of data, a similar situation arises with a preponderance of IoT devices. More disparate devices per individual means an assortment of information “pieces” must be assembled together across a diverse landscape of platforms to accurately profile an employee’s usage patterns. IT management must evolve to meet the challenges of organizing and managing highly distributed data sources from IoT devices. People may be an enterprise’s greatest resource, but power comes in a close second. Without it, the discussion at hand is clearly moot. Abundant and reliable power is a luxury often taken for granted, but in the event of enterprise emergencies, priorities are immediately clear: most power backup systems are dedicated to data center continuity For onboarding a fleet of IoT devices, enterprise infrastructures need to be bolstered to accommodate rising power requirements and costs associated with the resulting data explosion.